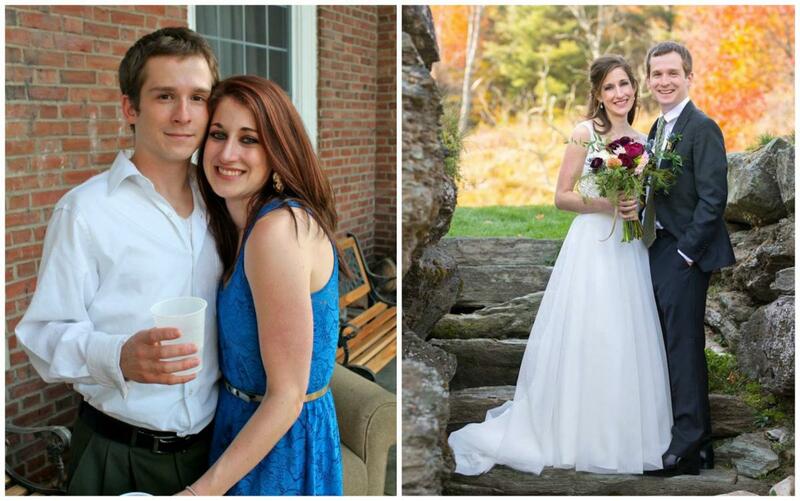 On Valentine’s Day, there’s nothing better than a good old fashioned love story, and today, we’ve rounded up more than two dozen excellent ones from some Dartmouth couples who met on campus—or discovered each other years after graduation. 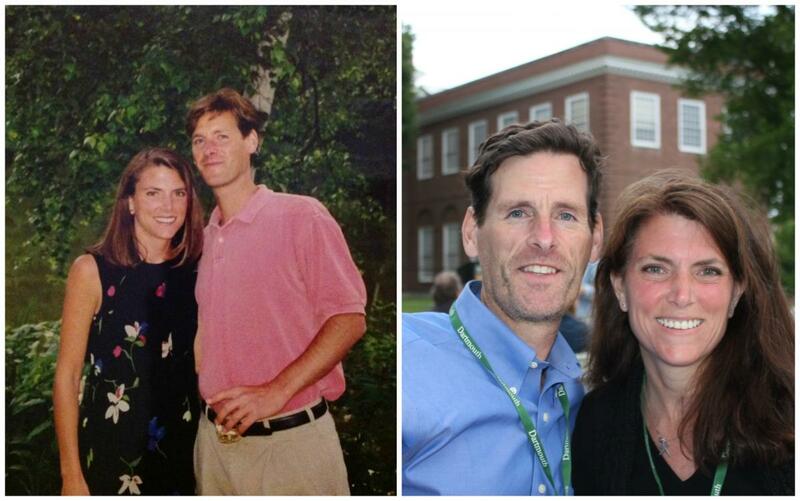 Click the arrow next to each couple's names to read about how they met, their favorite Dartmouth memories, and what they're up to today. Jennifer lived in Woodward; Al lived at Alpha Delta. We met at an AD party. A hike up Mt. Lafayette on Columbus Day weekend in October 1974. Al is an anthropologist, and a program director and faculty member at the University of Pennsylvania. Jennifer is an attorney and the executive director of the Public Interest Law Center. We live in Philadelphia, but still enjoy getting outdoors. 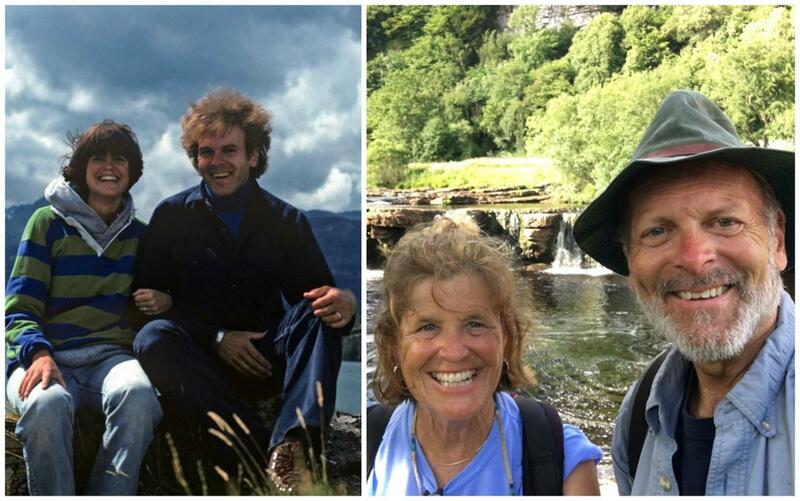 The 1978 photo is from our honeymoon in Glacier National Park. The 2016 photo is from Keld, England on our way to Robin Hood’s Bay on the Coast to Coast Walk in Northern England. We didn’t actually meet until after college, but the fact that we had college friends in common brought us together. We have now been together for 25 years. 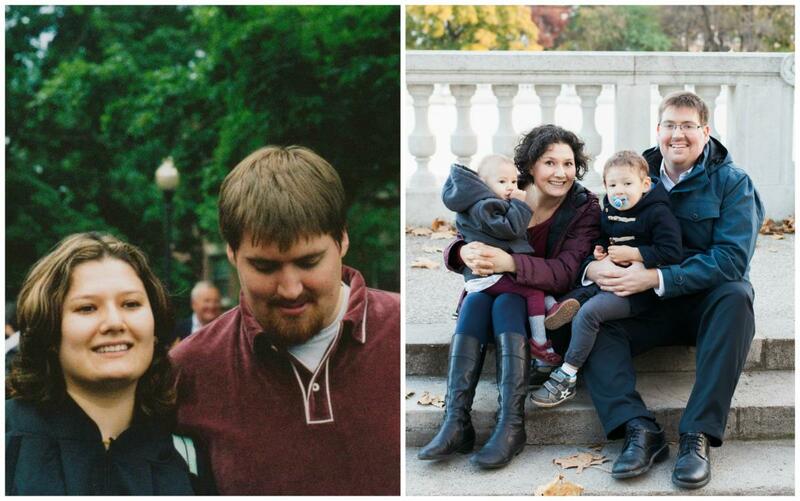 We were married in Boston on May 20, 2005, the first day that equal marriage was allowed in Massachusetts. Our favorite Dartmouth memories are separate ones: Mine [Kelly’s] all relate to late-night political discussions while hanging out with friends from the Dartmouth Community for Divestment and the Women’s Issues League. I am still friends with those classmates to this day (and still having heated political debates, but now mostly on Facebook). We live in Boston. I am a lawyer and Karen is a social worker. 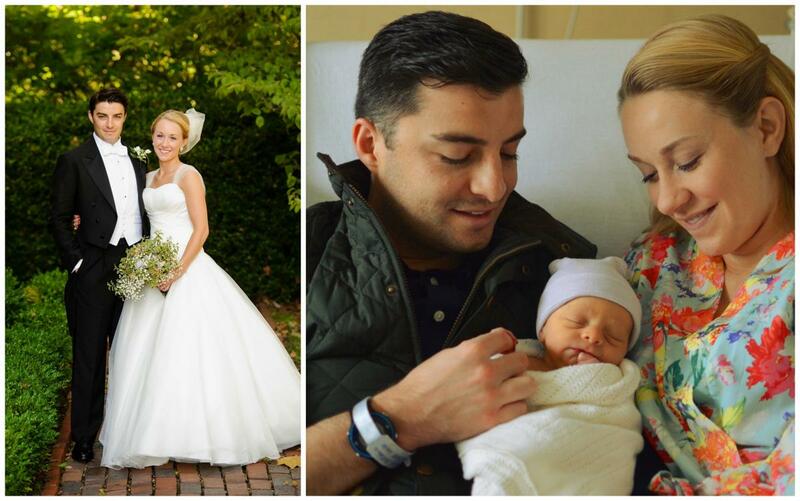 We have three children: Matt, 17, Caroline, 15, and Abby, 13. Michael and I met in the basement of Cohen the first day of freshman week. Our UGA group was gathered together for pizza. Michael walked in late. I was struck by his height (6’6) and his really long toes. Michael and I rowed crew our first year. Our UGA group was very close-knit and often went to meals together. Coming off the water late, we often missed the group. We ended up eating dinners together at Courtyard Café (in the Hop) where Michael inevitably bumped the table as he sat or got up (he’s so tall), spilling whatever drink (milk at breakfast, root beer at dinner) was on the table. He still bumps into things. My other favorite memory is of Michael doing cartwheels across the Green in broad daylight. It was his courting dance. We are now busily raising three teenagers in Hanover. I have my dream job working with classes in Alumni Relations. Michael rows with and sits on the board of the Upper Valley Rowing Foundation and coaches Hanover High crew when he’s not taking our dog, Occom, on long walks around town. Check out their proposal at Baker Tower! We were introduced to each other our sophomore year by a mutual friend; he was on the lightweight crew team with Austin and in Psi U with me. Over our sophomore summer, we hiked Mt. Cardigan and had a picnic dinner together at the summit. We got lost on our way down because it got too dark and we kept going off the trail. We finally made it back to the car and it felt like our first real accomplishment as a unit. We live together in NYC and are working full time; Austin is at Criteo and I am at Skidmore, Owings & Merrill. Through a mutual friend in the student tavern in the basement of the Hanover Inn. I was waitressing and served him a $1.50 pitcher of beer. Jumping in to a van our senior year to drive to Colorado to ski for eight days with Dartmouth friends because it was raining and we could not ski as planned at Stowe the day after finals ended. I am the Vice President for Dartmouth Alumni Relations and Jim is Baseball Scout for the Toronto Blue Jays. We met in Salzburg, Austria during a 10-day break in the middle of LSA in Blois (Jay) and FSP in Toulouse (Lali) while we were each traveling with friends. I walked into a small subterranean Rathskeller in Salzburg and my friend said "Hey, there are some Dartmouth kids." And the rest, as they say, is history! We dated through several semesters apart when one of us was on campus and the other off. I ended up at Columbia Medical School and a year later Jay started at NYU Law School. 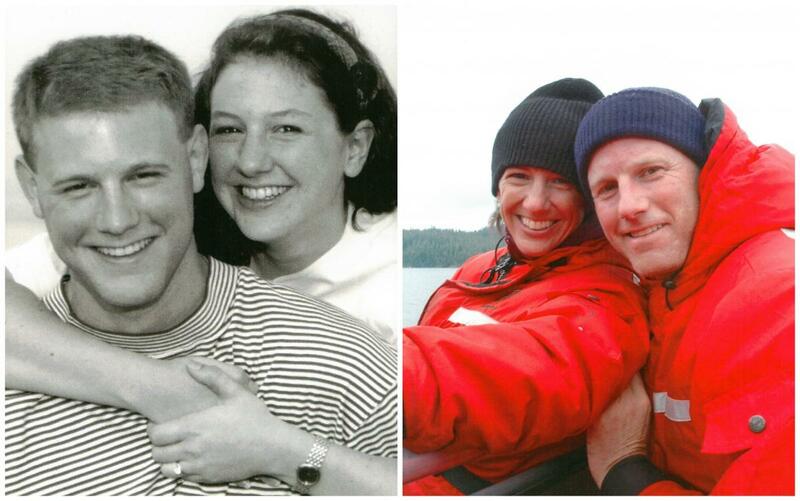 We got married the summer before our final year, and both graduated in 1990. Our favorite Dartmouth memory might have to be the time I kidnapped hard-working Jay out of the stacks, blindfolded him, and drove him to Dunkin Donuts for a late-night snack! We started dating on our FSP in China the summer after our freshmen year. Swimming across the Connecticut River under the moonlight sophomore summer. We live in Shorewood, Wisconsin with our three kids. Dr. Tina Yen is a professor of surgery at Froedtert/Medical College of Wisconsin. She is a surgical oncologist with clinical and research interests in breast cancer, endocrine tumors, and health services. Besides her hectic schedule she finds plenty of time to attend her children's sporting events, ski, and take her kids shopping (her favorite sport). JD has been a stay-at-home dad for the past 13 years helping raise the three kids, volunteering at school, making Wal-Mart runs, professional chauffeur for the kids, skiing, running marathons, and writing/recording/playing music. We met in Andres dorm. I was in room 106. He was in room 206. I complained about the noise and the rest is history. Happy days in Sanborn Library. It isn’t a dramatic event or anything, but it is a memory from Dartmouth that I still look back on with such pleasure. I served tea my senior year and Eric worked in the library and our friends would come and join us to hang out while we worked. 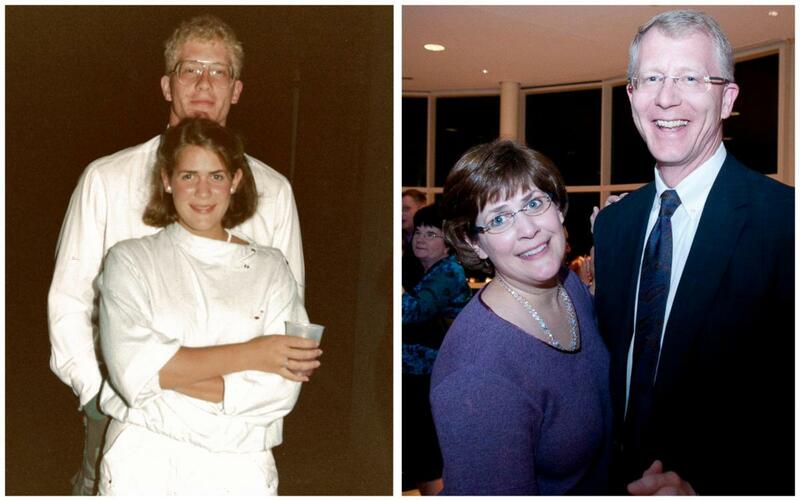 We were working for Dartmouth Dining Services as caterers for reunion events. We met at the Class of 1961 dinner down at the DOC house. The Class of ’61 was a rowdy bunch and it was one of the best events in my four years of catering. During the event setup, Dan stuck out because he kept trying to do that dance move where you stand on the chair and tip it over; I thought he was trying to be Fred Astaire, but he later admitted he was imitating the Backstreet Boys. 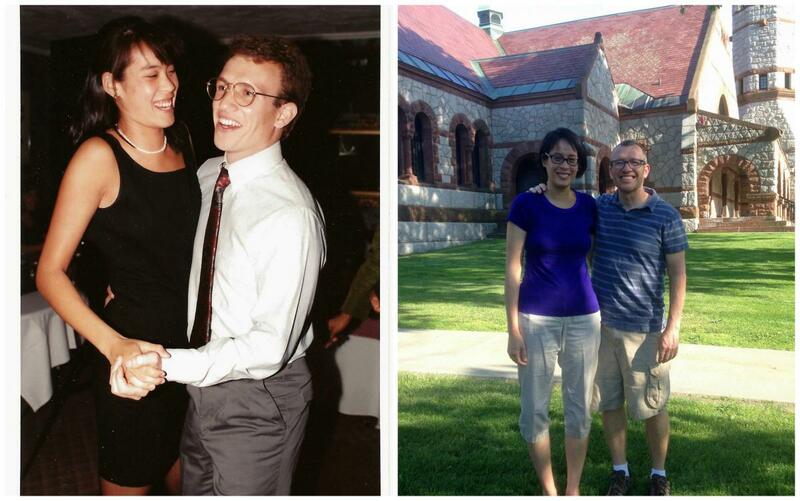 We became “just friends.” Five months later, during a study break walk, we kissed near the Robert Frost statue. A few years ago, on one crazy Friday, we sold our first condo, bought our first house, and rushed back to campus for my 10-year-reunion. 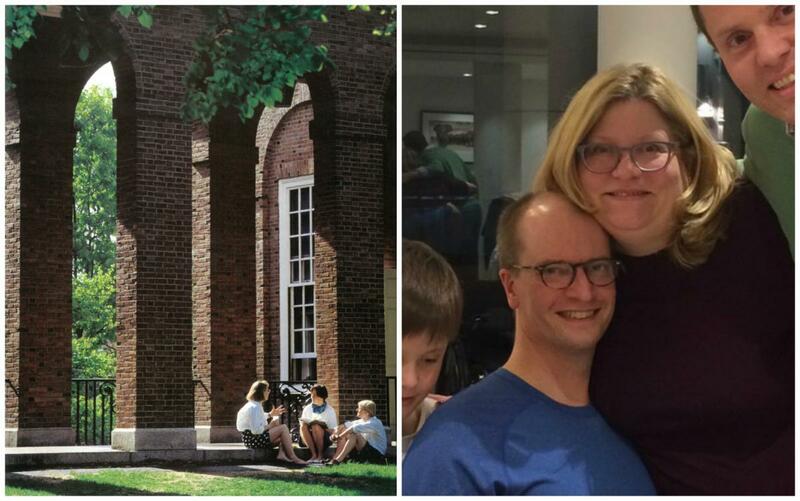 It was the first reunion that we brought our son to, and it was amazing to take such a big step and be able to celebrate that day with Dartmouth friends from far and wide. We both work for Dartmouth! I do digital strategy for Advancement and he is a video producer. We met our freshman year through mutual friends who were dating. We ended up on an unintentional double date that worked out in our favor! We both have such fond memories of Homecoming. As Fall athletes (Football and Women's Soccer), the excitement of Homecoming weekend, preparing for our big games, cheering by the bonfire and warming up with hot cocoa in Collis afterwards are priceless memories. We live in Portland, Oregon with our daughter, Sadie, and dog, Baker (yes, he is named after Baker Tower!) John is a sports marketing manager at Nike Inc. and I am a medical student at Oregon Health & Science University. Sam thinks we met at Moosilauke during Freshman Trips. He says, “We were on the volleyball court outside of Moosilauke Lodge on the evening that A trips arrived at the Lodge. There were about 20 of us sitting around having a beer and playing a drinking game. I remember what she was wearing and that she was really cute. That’s how I know we met then." 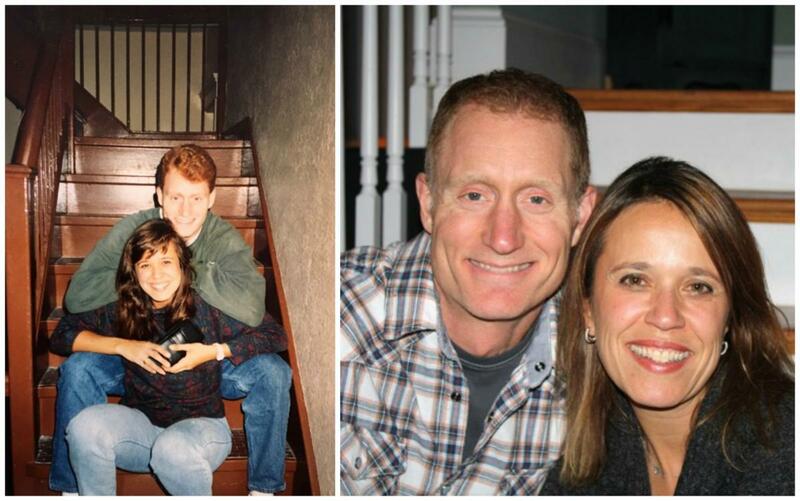 Either way, it was the beginning of freshman year, the fall of 1984, and we dated on and off throughout the four years. On our first date, we ate double-chicken-cheeseburgers at Topside. Another night, we climbed to the top of the ski jump to stargaze; it was absolutely freezing up there! Sam was on the ski patrol, and Jennie had never skied before school. She took skiing as a freshman PE credit. She asked a mutual friend where Sam had disappeared to in January, and was told that he was on the Skiway and unlikely to return until March. So she gamely signed up to learn skiing. Sam still remembers seeing her come up the lift the first time, looking as cute as ever all bundled up. We still ski together every winter, including during Dartmouth Lawyers Association annual ski trips. The only class we ever took together was a comparative literature seminar senior year with Professor Werner Hoffmeister. The course was great, and we both loved the professor; we still talk about him from time to time. We adopted a dog from the Laconia Animal Shelter, a Shepard puppy we named Roxanne. Hoffmeister loved the dog and asked us to bring it class all the time. 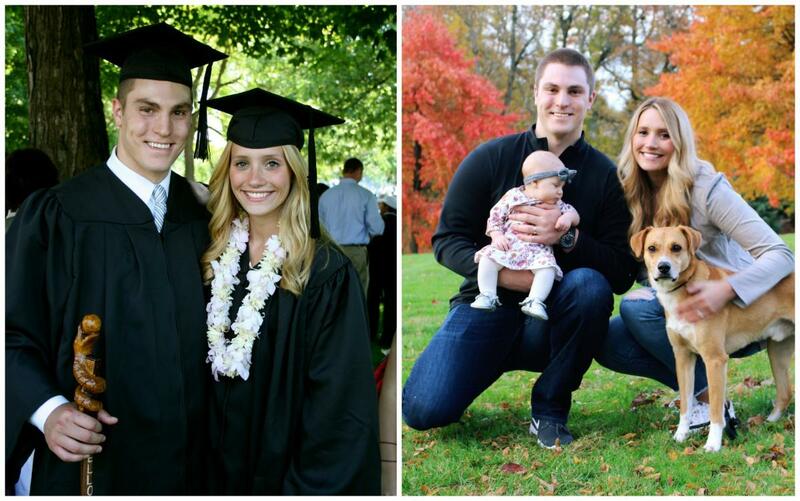 We have raised two daughters and a son, all of whom are college-aged now. Sam is a criminal defense attorney in New York City. He handles white-collar and blue-collar cases, many of them high-profile or high-stakes. He speaks frequently on issues like terrorism stings, the death penalty, and handling complex federal cases. Jennifer practiced law for 20 years and now teaches appellate advocacy at Pace University School of Law in White Plains, New York. She has recently begun pursuing a Ph.D. in linguistics, a goal she has had since her days as an undergraduate German major at Dartmouth. 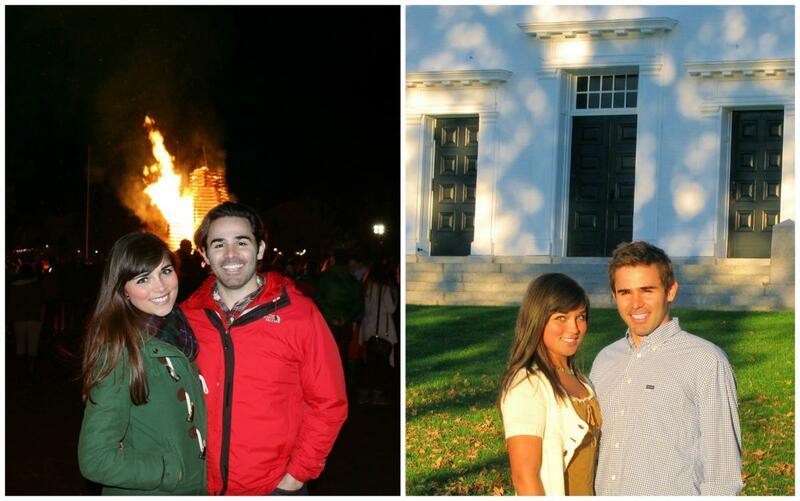 We met in the fall of 2008 at a s'mores event at Beta. I was a Delta Delta Delta pledge and Mitt was a Beta pledge. I was wary of Beta because the house had just returned to campus that fall, leaving AZD homeless (which was controversial—I think I may have even signed a petition that an older sorority sister was circulating to keep Beta off campus). I intended to go to the s'mores event for five minutes, but Mitt approached me shortly after I entered the Beta chapter room and we spoke for about 25 minutes before I left. I went back to the library to study and didn't see him again until Sophomore Summer (the summer of 2009). We didn't start dating until March of 2010. On Valentine's Day in 2010, Mitt came to my dorm room in North Fayerweather to tell me he had fallen for me. I was on my way to a Student Assembly meeting and also in another relationship at the time. I was determined not to be late, and I was overwhelmed with Mitt's bold words, so I made him walk and talk alongside me as I made my way across the Green toward Collis. When we reached the center of the Green, I said goodbye and Mitt made his way back to Beta. Ten seconds later, he called after me. I turned around and saw him sprinting toward me. He gave me a kiss on the cheek, smiled, and ran back in the direction of Beta. Three years later, after an interview at Dartmouth's Geisel School of Medicine, he walked me out to the very spot where he gave me the kiss on the cheek and proposed with an emerald and diamond ring. Mitt is currently a medical student at UPenn—on leave completing a research project in software engineering. I finished law school at Temple's Beasley School of Law in the Spring of 2015 and have since worked as a brand strategist for a few companies. Mitt and I are currently working on a startup together—he codes and does all the business modeling and I take care of the brand, design, and legal strategy. When we're not working, and even when we are, we love to travel. 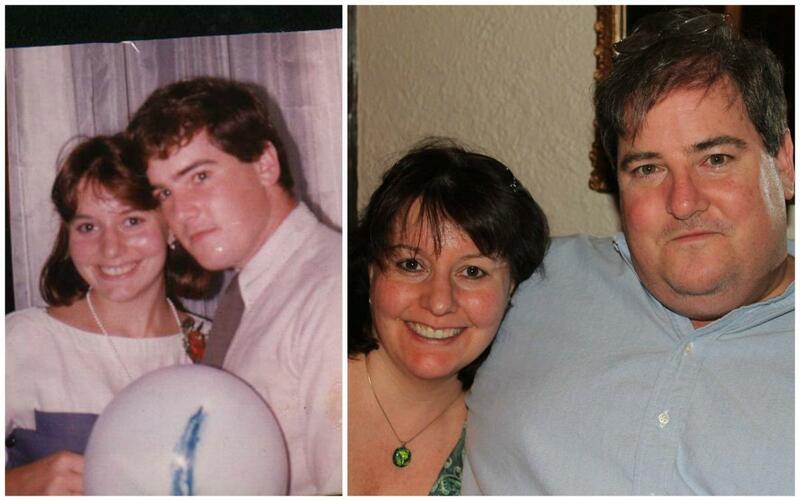 We met during the summer of 1990. It was Jeff’s sophomore summer, but I was the editor of The Dartmouth and had to stay on campus to run the paper. (Jeff sold advertisements for the paper and we had met in passing in Robinson Hall.) One night I went to a party at a fraternity, but got the time wrong and was really early. The band was setting up, and the cute drummer (Jeff) and I started chatting. A week or so later my sorority had a dance and I asked Jeff. We had a great time, and the rest is history! We got engaged at the BEMA in 1995. 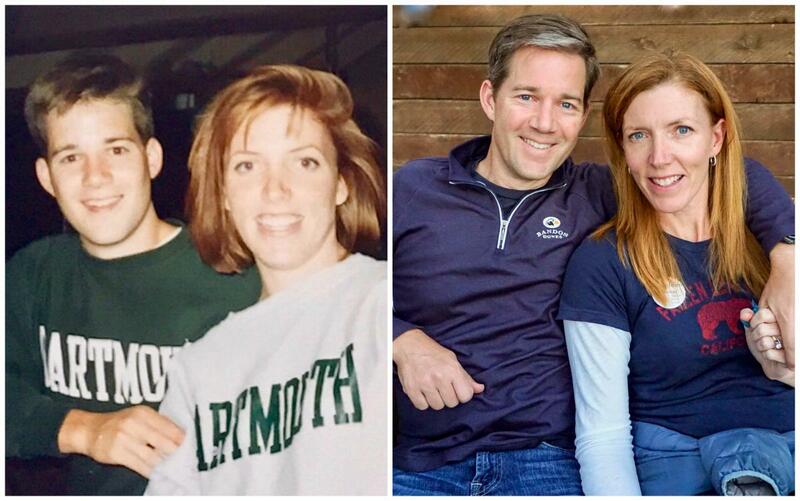 We have so many favorite Dartmouth memories together: walking and jogging along the river in “pine park,” skiing, playing pong, road trips, attending social events together, hanging out at C&G and even taking a few classes together. Jeff is also a great pianist, and he would play the piano in one of the practice rooms at the Hop while I listened and we both sang—it was very sweet. I have to say, we still do this occasionally at home. If we’re lucky, the kids will join in! Today we live in Fairfield, CT and have two high schoolers (Katie, a senior, and Jack, a sophomore). Jeff is a pediatrician and still plays drums with a band! His college band is getting together this spring to prepare to play at his upcoming 25th reunion. I went to law school but returned to writing & media and am now the Marketing & Communications Manager at the Fairfield Museum & History Center. We see Dartmouth friends all the time, and I am the President of the Dartmouth Club of Eastern Fairfield County, Class Secretary, and an Admissions Ambassador. We met in the basement of Alpha Chi during a dance spring term when I was an alum and John was a junior, playing pong! Our favorite Dartmouth memories probably are sharing Dartmouth traditions with our three D kids, JB '08, Kari '10, and Robbie '13—skiing at the Skiway (they were all on Ski Patrol, like John), climbing Moosilauke, rope swinging and hanging out at the river, and yes, playing family pong with their pals. John is retired, and we split our time between Connecticut and Montana. 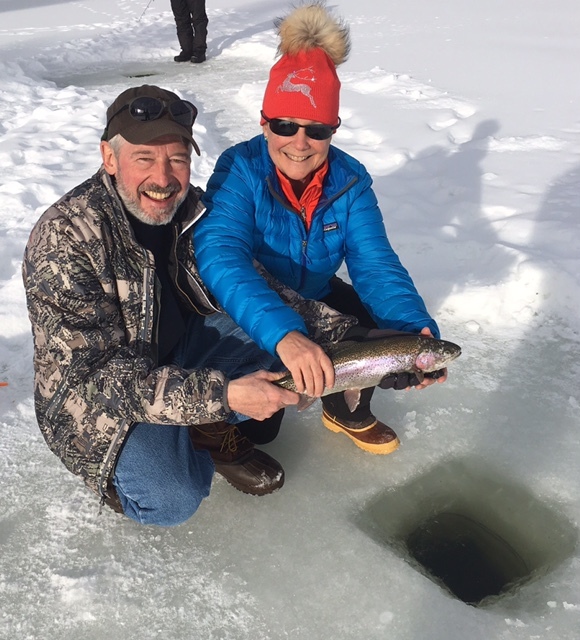 We're both trustees of The Nature Conservancy in Montana, and I do other board work while also staying busy with Dartmouth alumni activities. Current activity is focused on getting in as many powder days as possible during the 2017 ski season! We were in the same UGA group in Wheeler and met the first day of Freshman Orientation. Hailing from California and Florida, the first big snow storm was pretty special. We grabbed cafeteria trays and sledded down the golf course. We live in the San Francisco Bay Area with our two boys, ages 12 and 15. Cathleen is a marketing consultant focusing on startups and emerging consumer brands. Chad's a managing director at JP Morgan Private Bank. He also serves as a Dartmouth District Enrollment Director. At Molly's, through a mutual friend, just a couple months before we graduated. The many games of pong we played (and won, of course!) as partners. Sam and I live and work in San Francisco, along with our dog, cat, and horse. Sam is a product manager at a mobile gaming company, and I work in business development at a small healthcare technology company. Married in Kingston, ON, on July 24, 2004. French Drill Class! Dartmouth Hall, Room 102. Oh, so many to choose from... Trips to Moosilauke. Skating on Occom Pond. Our first date was a movie at the Hop. Hockey games. Basements. We took one class together—and got very different grades! We live in Hanover with our three kids. Kelly is a lecturer in the French department and is the chair of the local school board. Steve teaches high school English and coaches track and field. I first saw Tony walking across the Green freshman year and wondered “Who is the guy with the gorgeous blue eyes?” We had mutual friends who confessed to me they didn’t think we had much in common. We were both presidents of our houses (TriDelt and Zete) sophomore summer and were in a weekly meeting together, but we don’t recall ever having a substantive conversation. Flash forward to our 10th reunion in 1999 (really our 9th year out). 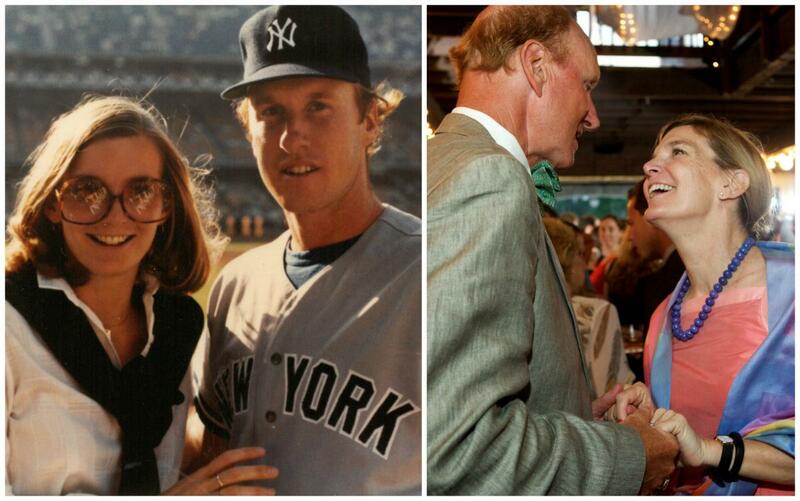 We had both attended law school and were practicing law—Tony in Boston and I was in Kansas City. We started talking at the reception Friday evening, sat together for the lobster dinner and ended up spending the entire three-day weekend together. At the end of the reunion, Tony drove me to my flight in Manchester, NH. That was the first of many visits to the airport, since over the next six months, we only spent three weekends apart. 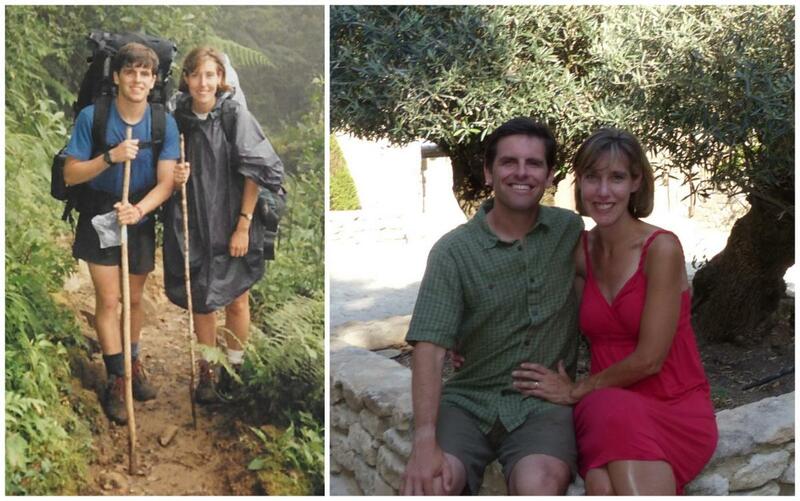 We were engaged on January 1, 2000 and married in September 2000. All the reunions, since that was where it all began. 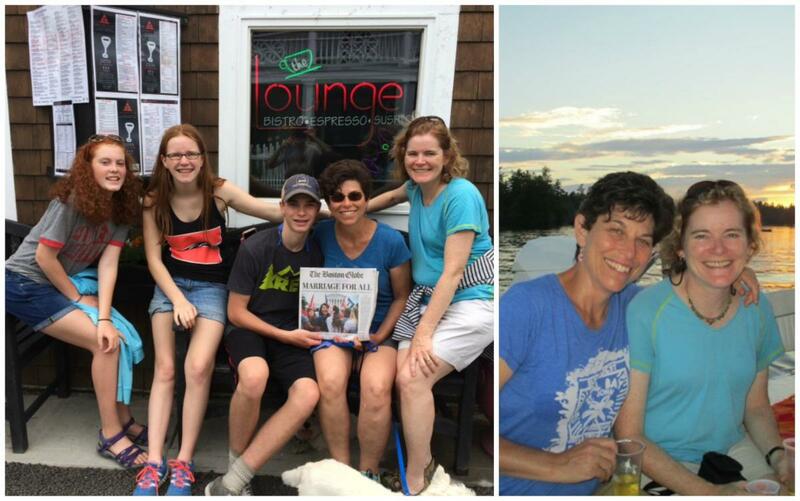 We returned for our 15th reunion with our first two daughters, our 20th reunion with three daughters (our fourth was born 2.5 months later) and really enjoyed our fabulous 25th reunion in June 2015. 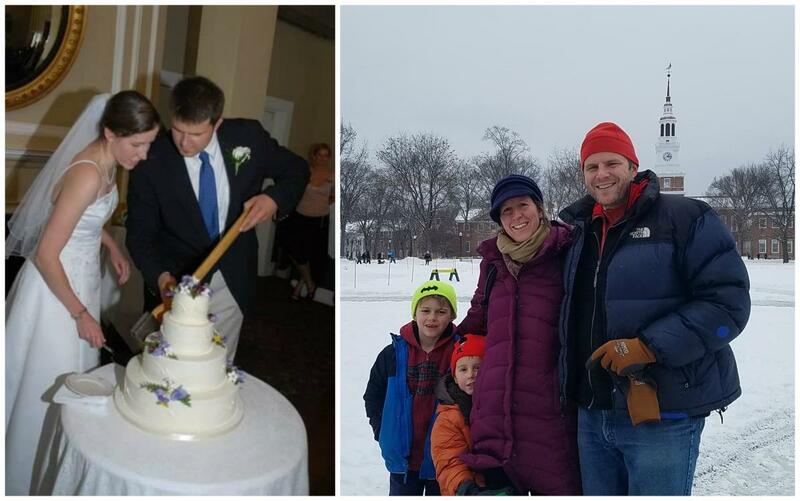 Tony practices law here in Portland, Maine and I’m the director of compensation and Incentives for Sprint, based in Kansas City—when I moved to Maine to marry Tony, I was fortunate enough to be able to telecommute and will be celebrating 20 years with Sprint this summer. We love spending time with our fabulous four daughters: Kaitlyn (15), Alexandra (13), Sophia (10) and Isabella (7). We ski most weekends in the winter (Tony was on the U.S. Ski Team during his years at Dartmouth), enjoy summers in Maine, and love traveling and exploring the country with the girls. Both of us lived in Topliff for most of our Dartmouth years. Freshmen year there was a friendly relationship between the all-girls wing of the third floor and the guys that dwelled in the nether regions of the basement. His group planned a ski weekend at Cannon Mountain in January and we were both invited—we met on that weekend trip. Our roommates subsequently set us up as blind dates for a dorm formal. Thanks to Tom’s mom, who regularly sent care packages with incredible chocolate chip cookies in them, we had an excuse to get together and our friendship grew. The rest is history. Tom is a principal with Geosyntec Consultants, a civil and environmental engineering consulting firm. Amy is the finance director for a classical Christian school in the Annapolis area. We are parents of five children ranging in age from nine to 24. With three kids in college this school year we are currently reliving the cash poor days of our youth. Simultaneously confounded by the imminent launch of our older children into adulthood (where did the time go?) and anticipating how the manic busyness of life with a large family will be giving way to a quieter and more deeply introspective season as a result, we think we might be adjusting to middle age at last. Virginia and I met at a Halloween party held at my fraternity, Phi Delt. We think the party was jointly hosted by Virginia's sorority, Tri-Delt (RIP), and my fraternity, and held at Phi Delt, but don't quote us on that. For my costume, as Indiana Jones, I had a shoddily made bullwhip tucked into my belt, and Virginia—never the shy one—grabbed it out from my belt and demanded that I clear out of the way as she took a turn trying to elicit a crack from the whip. She did indeed crack it, but in the process, the tip became unknotted and would only emit a pathetically soft "whish" after she was done with it. However, the whip was not completely useless. Since she had damaged my property, I reckoned that Virginia—proper, southern lady that she is—could not turn me down if I asked her out for dinner, if for no other reason than being racked by guilt for rendering my whip silent. 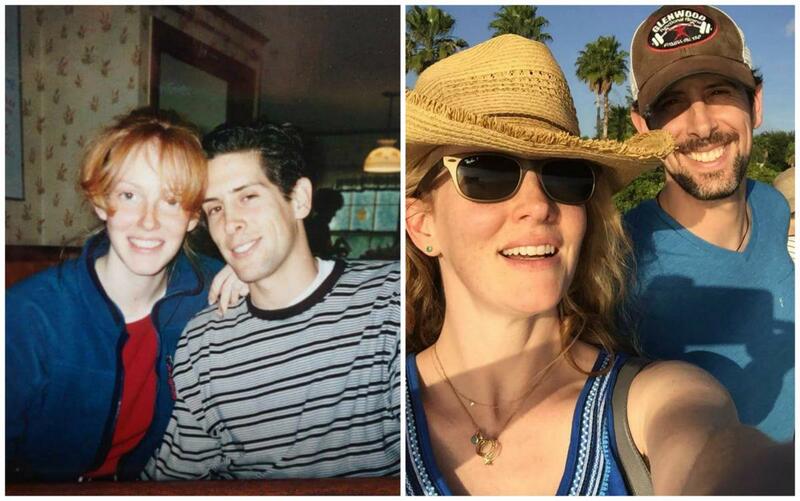 I was correct, and 10 years later, we're still together. There are too many great memories to choose from to answer this question, but we both remember fondly our first proper date at Canoe Club in early February 2007. The day before our date, I made a reservation at a restaurant in town. But on the day of our date, a major snow storm had blown through the Upper Valley and deposited a couple feet of snow around campus, which shuttered some college operations and most of town. As I headed across the snow-covered Green to pick up Virginia for our date, I came to find that the restaurant was closed because of the snow. This induced a brief moment of panic, but I figured that Virginia would understand and settle for a meal at Home Plate as a substitute. When I arrived to pick Virginia up and saw how radiant she looked, I realized that no DDS meal would suffice and was filled with determination that we should find an open table in town. So, we trekked together across the Green in a blizzard, and I'll never forget having to catch Virginia a few times as she lost her footing on the snow covering the icy path. In town, the only open restaurant was Canoe Club, and it provided us with a warm and welcome respite from the snow outside. While neither of us remembers what we ordered that night, we regard this date as our first date, and it's one we'll never forget. After our time at Dartmouth, Virginia followed me to Louisiana for a year. 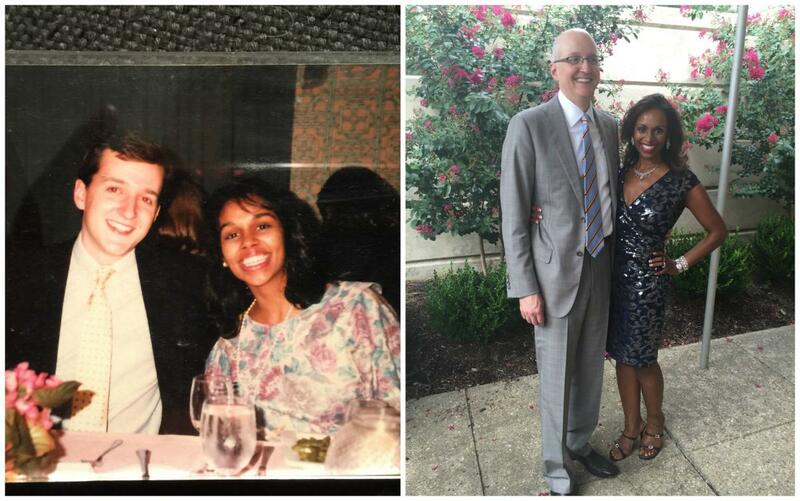 Then, we went to law school together and practiced in Virginia's home state of Kentucky. Three years ago, we moved to Nashville so that I could pursue my Ph.D. at Vanderbilt. Virginia is now a senior competitive intelligence analyst for an international law firm, and I am completing my dissertation on the economics of 21st century legal education. But most importantly, we just celebrated the birth of our first child. Our son, Christopher James "Ames" Ryan, III, was born on January 22, 2017. 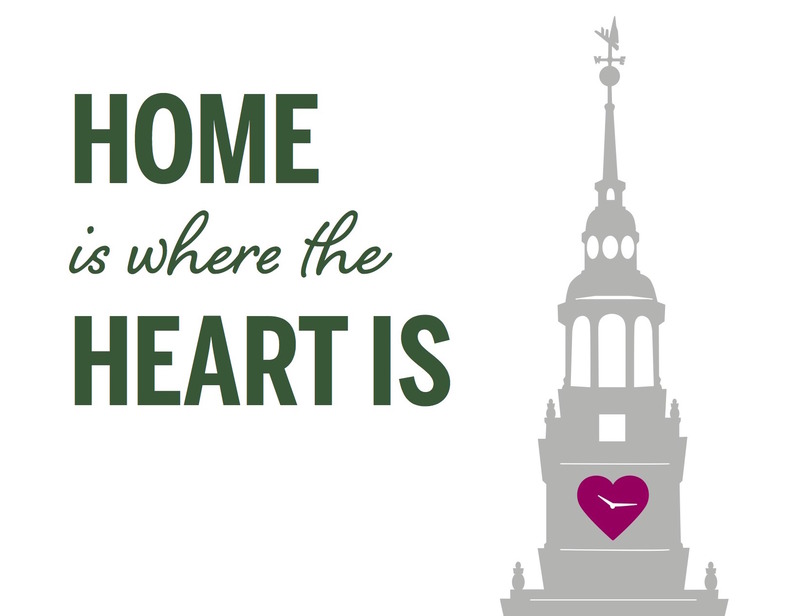 We are awfully proud of our future Dartmouth '39. 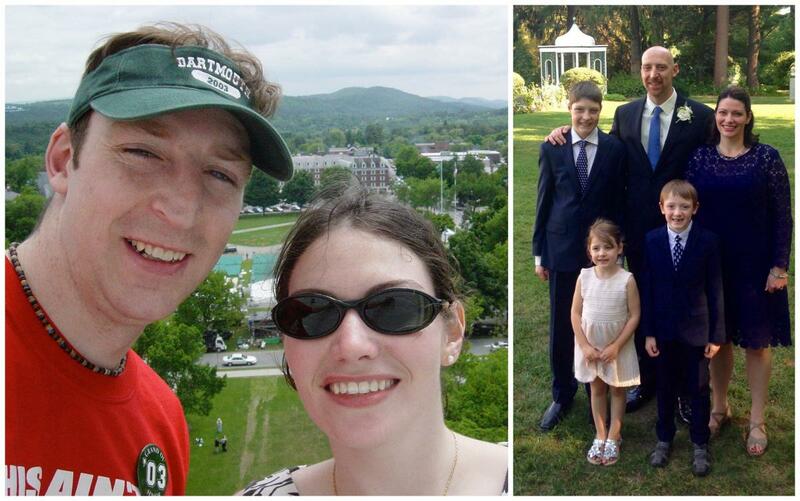 We met freshman fall in the dorm room of our mutual friend Jonathan Silverman ’87. In my mind, Jeff and I were casual acquaintances during freshman and sophomore year. But while I was dating other people, Jeff apparently had his eye on me. Junior year, Jeff became publisher of The Dartmouth. I had written a (very) few articles for the paper, but he somehow conspired to have me appointed Arts & Entertainment editor. (Our buddy Jonathan was the Sports editor.) Through working on the paper, Jeff and I did become decent friends. He waited out a few breakups of mine, and then senior year he invited me to his off-campus apartment for dinner. He cooked me Cornish game hens, which was the fanciest thing he could figure out how to make on his own. I was blindsided because I thought we were just hanging out and he clearly meant the evening to be a date. Being taken aback, I rebuffed his advances, our relationship grew chilly and we lost contact after graduation. Five years later, he called me out of the blue, wanting to reconnect. This was before social media; he had to call the alumni office to get my number. He was living in NYC and I was in grad school at the University of Texas Austin. After a first very brief phone conversation, we ended up speaking on the phone for at least an hour every day. We had a few in person weekend visits and six months later we were engaged. I moved to New York and we were married six months after that. It's 30 years after college and he still doesn't understand why I wasn't wooed by the Cornish game hens. I continue to tell him that if we had dated then, there's no way we would have been together in the long run. Timing is everything. You can see our two photos. The first is us in 1987, we were covering a story for The Dartmouth about "Singles Night" at the West Lebanon Purity Supreme supermarket. (The chain was later acquired by Stop & Shop.) Singles Night is even mentioned on the Purity Supreme Wikipedia page. [LINK TO: https://en.wikipedia.org/wiki/Purity_Supreme) Shoppers would enter the store and be given half of a paper heart to pin to their clothing while shopping. When they found the person wearing other half of their heart, they were supposed to strike up a conversation and let romance ensue. Miss New Hampshire was there to kick off the festivities. At the time, we were incredibly cavalier and snarky making fun of the "desperate" locals looking to find love in a grocery store. We were real jerks. In retrospect, I have to give those shoppers credit for being brave enough to try something new and different to make a connection. If memory serves, the photo was taken by Dan Estabrook ’88. 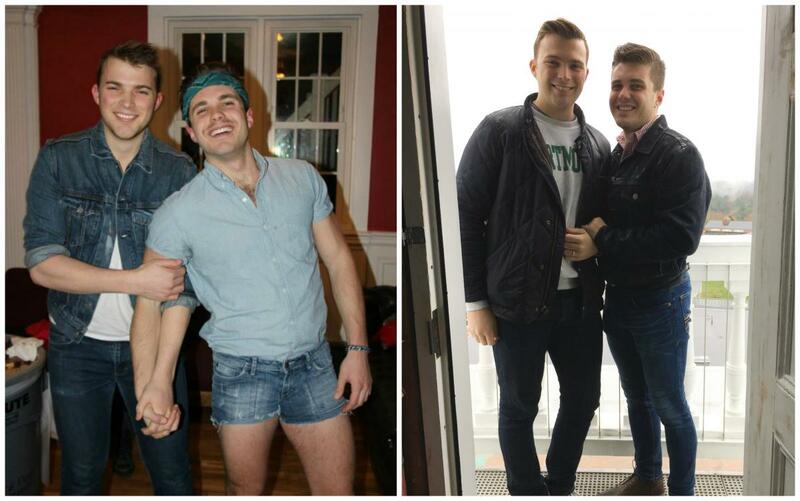 The second photo is at First Year Families weekend in May 2015. We are (obviously) in front of Baker Library with our family. L to R = Louisa, Charlie ’18, Jeff, a big moose, Erin, and Josie. The moose is Will Tremml ’18 and the photo was taken by his mom, Emily. After a 29-year career in management at Time Inc., Jeff now works in business development for Amazon.com as director of Amazon associates. I've had a meandering career path, including time as a marketing planner for a bank, as a research librarian for a major advertising agency, and a substantial stint as a stay-at-home mom. I am currently a travel writer, specializing in Disney Destinations. I have a number of freelance gigs, but mostly I work for TouringPlans.com and the Unofficial Guide travel books. I am co-author of the Unofficial Guide to Disney Cruise Line. We get to take awesome family vacations and I write about them. Both Jeff and I can directly trace our current work back to our time at The Dartmouth. So I'd have to say that our time there was quite significant. We have three daughters. Charlotte (Charlie) ’18, and twins Louisa and Josephine (Josie) who are currently high school seniors. Beginning this fall, Louisa will be attending Smith College and Josie will be attending Hamilton College. We were introduced by mutual friend Kim Iwamoto ’03 at the Moosilauke Ravine Lodge in 2000. Joanna and Kim were looking to recruit new Woodsmen Team members (DOC, Cabin and Trail Club). I was doing research at the Lodge that summer and was wearing Carhartts, suspenders, and a beard. Needless to say, I fit the profile and the rest is history. One spring, Joanna was in charge of checking all the DOC cabins for maintenance issues and she took me along. We traveled the hills and dales of New Hampshire together, getting lost, hiking through the mud, and trading stories. Now DOC cabins and the Lodge are family traditions, and our boys are as excited for the new Lodge as we are. We lived in Maine together for 12 years, had many hiking, skiing, and paddling adventures together, and had two wonderful boys. We moved to Connecticut two years ago, where Joanna does education research at Yale and I do land conservation work at a New England-focused foundation. We make it back to Hanover several times a year to see friends and visit some of our favorite haunts. We met at Dartmouth when I worked in the lab of his PhD advisor, Professor James (Jim) Hornig, in the chemistry department. Scott retired from Dow Chemical (formerly Rohm and Haas) in late 2015 and is now doing consulting work part time. Chris recently joined Merck in their manufacturing organization supporting approved products. Halloween 1991 at a party at the River Ranch in Norwich. She was dressed as an American Gladiator. My costume was a bathrobe and a propeller hat. Camping in the Second College Grant when it was -37°F. We're happily married with four children. Madeleine is a Latin teacher at Concord-Carlisle High School; I work at a small consulting firm in Concord, and am active with Concord-Carlisle Youth Soccer. We met on April 20, 2004 when a mutual friend (Bradley) wandered in to the Tabard basement looking to play pong. I told him that I would be happy to play, but did not have a partner. I added the stipulation that whomever he set me up with had to be good, because I was not really interested in losing. Bradley showed up with David about 10 minutes later and the rest, as they say, is history. David won me over by making me mix tapes and, kept hanging out with me even though I would constantly force him to watch movies with me and then fall asleep on him. We did enjoy getting food at the Hop (especially those breakfast sandwiches and the mac and cheese—Yum!). But possibly our most memorable memory is from when we lived in the White House (formerly known as the Van down by the River). We rented a house on the Vermont side of the Connecticut River and lived there with several friends and my brother for two years (among our friend set it was known as the White House, well, because it was a white house). I think one of our favorite memories was of the first Thanksgiving we all spent in that house. We decided that we had to do a "real" turkey dinner with all the fixings. So, we went to that discount supermarket over in West Leb and bought a 22-pound turkey because we had no idea how big a bird to get. I called my grandmother and asked her for her famous cranberry Jell-O salad recipe. I think it took three days for the turkey to thaw out in our single sink in the kitchen. And I know we called my step mom at least two or three times to ask how in the world one cooks a 22-pound turkey. We basted and basted, and finally hours later, we had one done turkey and one hell of a story. We also had so much leftover turkey that I think we had turkey-something for at least two weeks into December. We now live in Vienna, Austria, with our two children (Gabriel is almost four and Zoe is almost two). David leads a team at the International Atomic Energy Agency, helping arm UN inspectors with results of cutting edge R&D for nuclear verification in Iran and around the world, and I work for an Austrian-based international animal welfare organization. I also have a side gig as a documentary family photographer. Ellen and I met working in the Admissions Office at Dartmouth. We did not know each other as students, and we worked together for more than two years before we started dating. 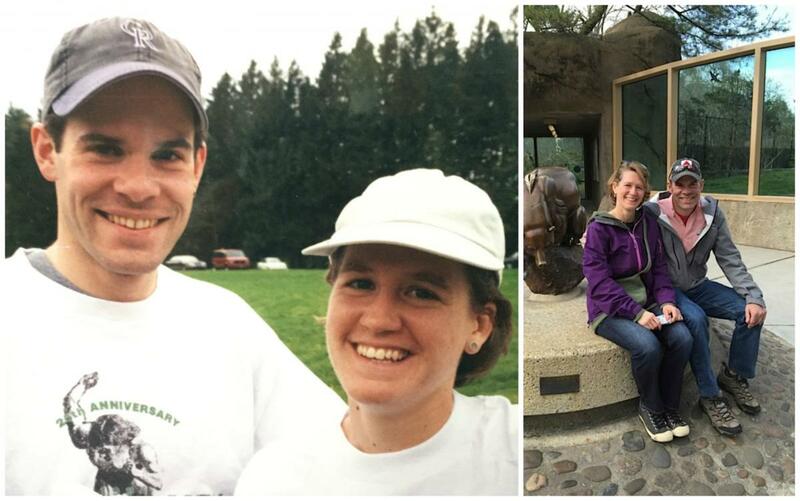 So many of our shared Dartmouth memories are work memories: Early in our careers, we both worked on planning for “Dimensions,” the on-campus program for students who have been admitted to Dartmouth. Working on Dimensions involved long hours, late nights, and limited sleep. We were lucky to work with a great group of people who became lifelong friends, and we now know generations of students stretching from the early ‘90’s to the current day. I often recognize the names of alumni because we arranged their hosting for Dimensions. 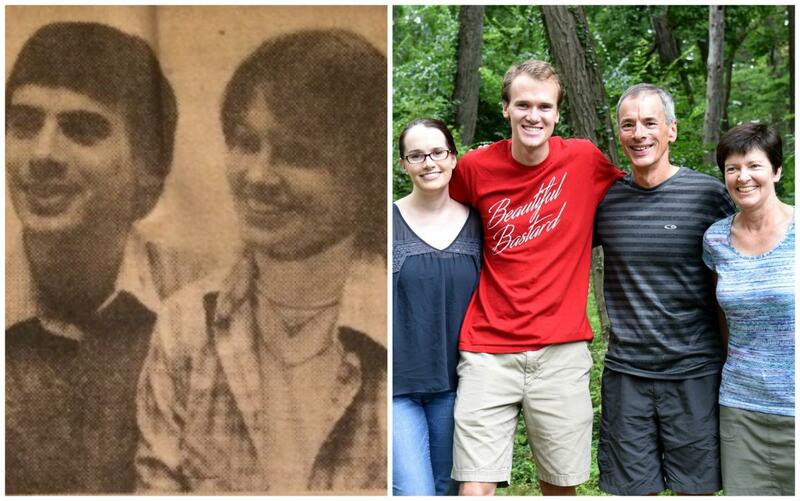 We “came out” as a couple to our colleagues in admissions when my sister got married. Our entire staff attended a conference right before my sister’s wedding, and Ellen needed to buy a dress. She tried to get away quietly to look for a dress but a couple of people we worked with insisted on going along with her. A few years later, two other admissions officers (Shelley Arakawa ’96 and Jarrid Whitney) had their “coming out” at our wedding. 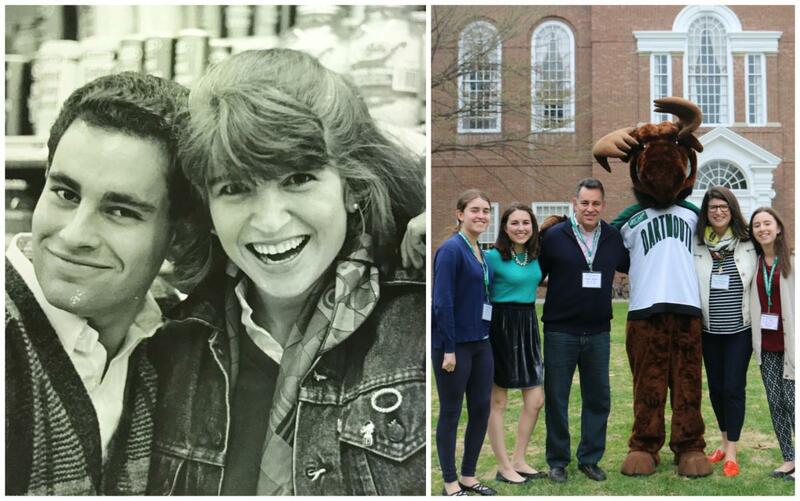 But our best Dartmouth memories are tied to the friends we made working in admissions, including alumni Heather McDaniel ’92, Jim Shields ’88, Beth Paap ’87, John Sirois ’91, Peter McHugh ’93, and Tim Clark ’88. Former Dean of Admissions Karl Furstenberg ’67a used to host us out at his house for sledding parties and barn dances. We were introduced by Aliza Waksal ('96) at the Hop after a Skaboodah concert. Years later we realized we had been introduced once before at a concert at Lone Pine Tavern—also by Aliza! So you can get a second chance to make a first impression. One of our favorite Dartmouth memories together is swimming and playing in the Connecticut river during my sophomore summer. We've since had a chance to take our kids, Isabella and Sebastian, for an icy swim there during reunion. Another favorite memory took place just before Dartmouth’s Spring Break in 1996. Rodrigo took Sara to the place on the green where in the Spring of 1994 she’d asked me to the KDE formal. With Baker tower behind me, he got down on one knee and proposed…and she said, “yes." Being the romantic guy that he is, he took her to Panda House to celebrate. We are going to celebrate 20 years of marriage this year! In that time, we have moved many times and lived in many places: Florida (while Rodrigo studied medicine), New York (while I earned by MBA), India, Costa Rica, Virginia, New Mexico, Colorado, and DC. We're now settled (we hope) in Chevy Chase, MD. 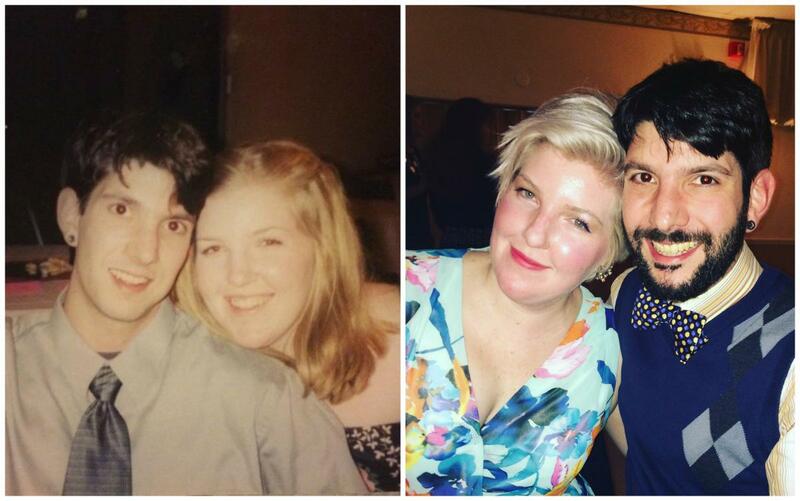 We met briefly for the first time on the last day of school in June 2000. Then, we reconnected a couple years later in Washington, DC. 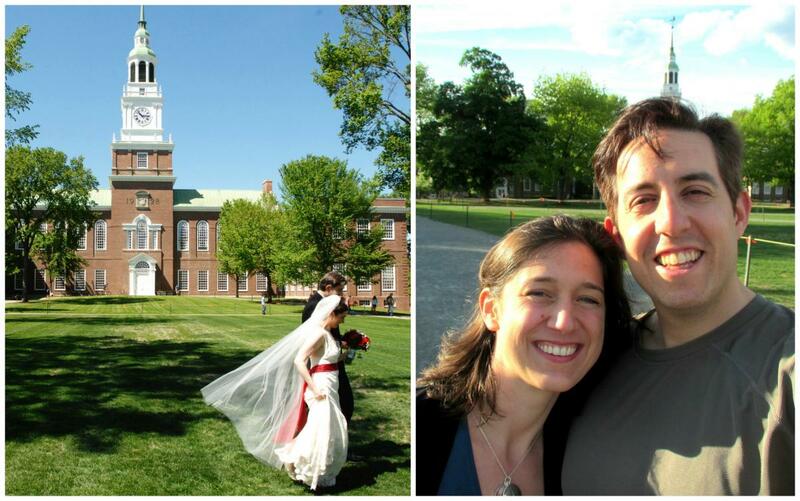 We loved getting married on campus! May in New Hampshire can be muddy or even snowy, but we had the most gorgeous blue sky day to celebrate. Almost every year since then, we have visited Dartmouth/Woodstock on our anniversary and have enjoyed creating new memories together. Paul has been executive director of Achieve Hartford! for the last several years. Allison is co-founder and managing partner of InspireCorps, a people consulting firm that uses applied positive psychology and emotional intelligence to cultivate sustainable inspiration in leaders, teams, and organizations. We live in West Hartford with our two young boys, Adrian and Isaac, and rescue dog, Stella.